Even while being far in the north, Danish winters don’t seem to offer many traditional winter activities. 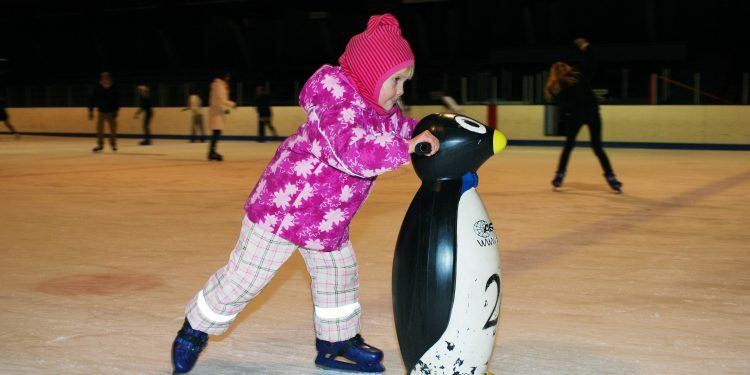 However, ice-skating is no longer subject to the weather, and with the numerous indoor and outdoor opportunities, it is a great leisure activity both young and old can enjoy. Normally, the weather has to be cold and wintry with several days of glacial frost before lakes and ponds freeze over, something the traditional grey and rainy Danish winter cannot really guarantee. Up until 1959, ice-skating was a unique winter time activity, as opportunities could be rare from one winter to the next. Thankfully, this changed in 1959, when the first two indoor skating rinks were opened. Today there are 16 indoor skating rinks open to the public during the winter season. You can bring your own skates or rent good quality equipment by the hour. Thanks to new technology, a number of outdoor ones also open in the winter, though not on lakes and ponds. Instead, public/private partnerships in the local municipalities finance the necessary outdoor ice-rink equipment. To build them there is no need for ice-cold weather. However, the temperature has to be below 15 degrees Celsius. Special equipment freezes water to ice making it possible to build the ice-rinks on selected squares and other public venues. Often the outdoor rinks are rebuilt each winter at the same location, and every year adults and children have a wonderful time gliding more or less swiftly over the ice. These rinks are very sought after, and even smaller towns, such as Sønderborg or Skive in Jutland, can boast more than 30,000 visitors during the three to four months they stay open. They all open around the 1 December. In 2018, they are all expecting to open the 30 November. Of course, if the winter weather stays cold and frosty in the coming weeks (February is traditionally the coldest month) and it stays that way for a longer period, lakes and ponds freeze over and can also be turned into outdoor ice-skating rinks. HOWEVER, do not venture out on unless you can see a sign put up by the local municipalities notifying the public of their safety. If you want to learn more about ice-skating and take lessons, all of the indoor skating rinks have clubs with classic ice-dance classes as well as ice hockey. Most of them are listed under their local municipality’s website. Here you can find links to the ice-skating rink’s websites and clubs. You do not have to live in the municipality where the club is located as they are all open to anyone wanting to join. The public opening hours can be found on the ice rink, skøjtehal, website. Most are open to the general public for ice-skating fun a couple of evenings during the week and some hours on either Saturday or Sunday (or both) on the weekend. As the same facilities are used for competitions, they may be closed for public access on selected days also on the weekend. Therefore, before promising the family a day on the ice, call to make sure the skating rink is open the day you want to go. An activity offered by Esbjerg Granly Hockey, Aarhus Skøjtehal, Odense Skøjtehal, Gladsaxe Skøjtehal, Kastrup Skøjtehal and Gentofte Skøjtehal (see below for more details). There is usually an affordable entry fee of about DKK 40, and of course rental costs for skates if you do not bring your own. It is just as the name says, a disco on ice. The traditional lighting and music from the disco/nightclub is transferred onto the ice rink for an evening of dancing fun. The music is loud, but it’s great fun to dance around (or just try to keep your balance) while listening to the latest hits. 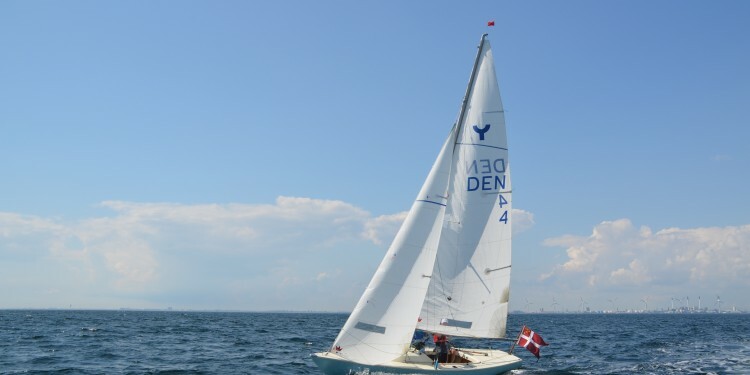 Esbjerg, there are several yearly IsDisco events,–in Granly Hockey Arena, arranged by Sport & Event Park Esbjerg. 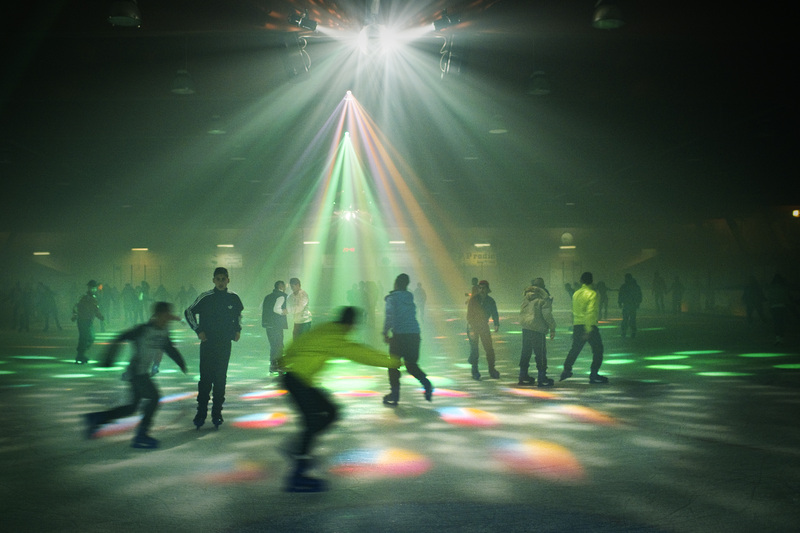 They are great for anyone who loves gliding on the ice accompanied by music and an awesome lightshow. Most often younger children come during the start of the evening, while the older ones join in later. No alcohol is allowed and you are not allowed to bring you own food or drinks in the rink. Aarhus Skøjtehal has an Isdisco once a month on a Friday. They do it nicely – in the late afternoon for younger children and in the evening for anyone above the age of 12. Be careful though, your teenagers might not be so thrilled if you insist on going with them! Smoking and drinking alcohol is banned and you are also not allowed to bring your own food and drinks, but the café is open. From 17:00 to 19:00: Børne-isdisko or children’s ice disco for all children up to 12 years of age (parents are welcome too). From 20:00 to 23:00: Isdisco for everyone above the age of 12. Next venues are 30 November, 14 December, 25 January 2019 and 22 February 2019. Gladsaxe Skøjtehal has their Isdisco on selected days. 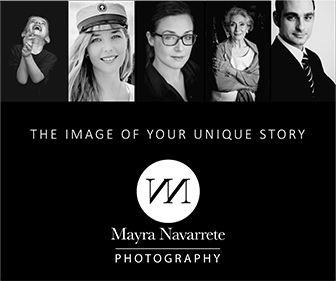 The next one is the 1 December from 19:30 to 23:00 for young children in grades 3 to 6 (ages 10 -13). More information can be found on their website under Kom til Isdisco i Gladsaxe Skøjtehal (www.gladsaxe.dk). Gentofte Skøjtehal has their IsDisco on Saturdays from 18:30 to 22:00. Again, alcohol is banned and you have to bring your social security card- sygesikringskort– to be registered at the entrance. 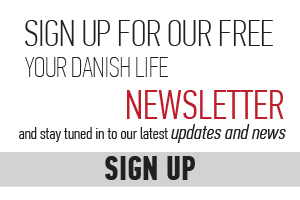 We have made a map of Denmark with all the 16 indoor rinks listed with name and address – just click on the link and it will open in a new page. Ørestad Skøjtehal, Hannemanns Allé 14A+B, 2300 København S.
Outdoor skating rinks are open from around 1 December until the end of February. They are free to use. You can bring your own skates or rent them on site. • Only for ice hockey the outdoor rink at Lindevangsparken, Dalgas Boulevard 1, 2000 Frederiksberg. 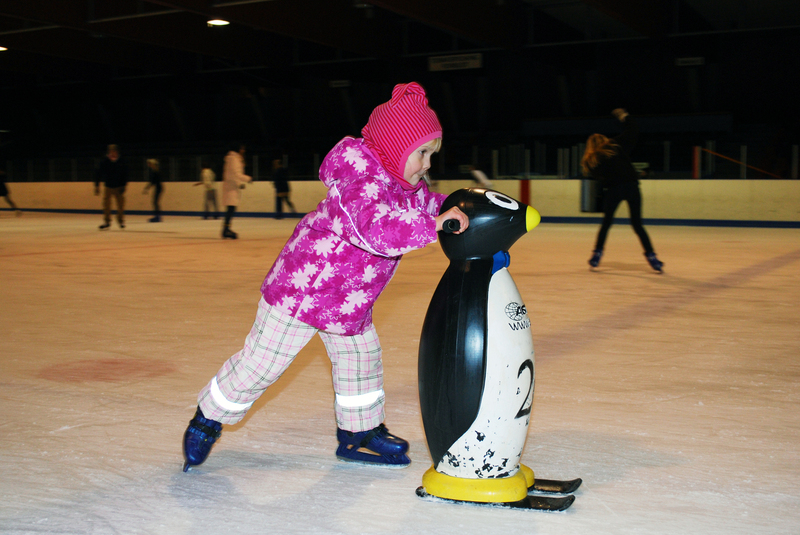 No skate rentals available here – and until 17:00, the rink is reserved for the clubs and after hour school services. Unfortunately the large outdoor ice rink on Genforeningspladsen in Copenhagen will not open this winter 2018/2019. The municipality of Copenhagen informs that if there is a long cold period – then the lakes will open for ice-skating. Lookout for signs saying the ice is thick enough.